The Program Progress Flowbar feature provides a simple and intuitive way for you to follow the progress of the washing cycles. The 30' Quick Wash feature provides all the ideal washing results you deserve, in just 30 minutes. 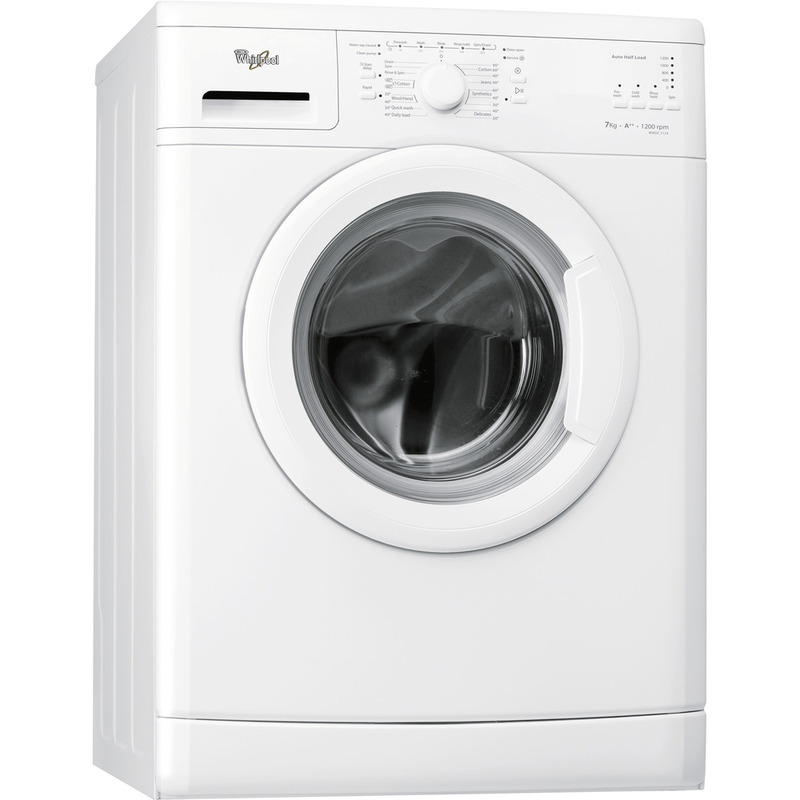 This Whirlpool freestanding Washing Machine features: a spacious 7kg capacity. White color. A fast, resource-efficient 1200 revolutions per minute spin speed. The Colours 15 programme offers ultimate colour preservation, washing your fabrics at 15°C, yet achieving the same cleaning results as 40°C.